“dirty off‐white” symbolizing the filth a woman finds in her search for Mr. Right. 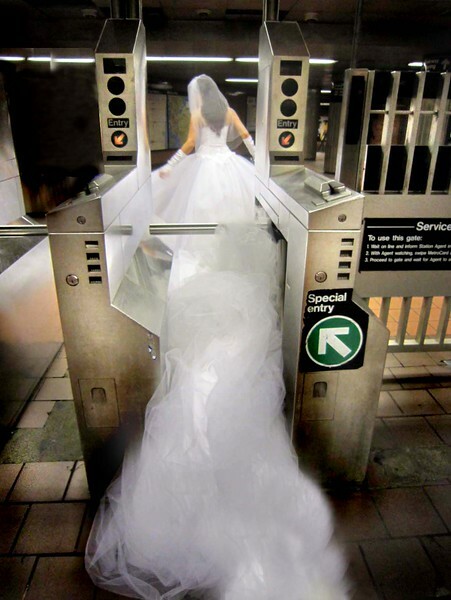 Several day search around Manhattan wearing an 80-foot long wedding dress.